We love our pets and car safety can be a snap with the one size fits all dog seat belt restraint from EzyDog. 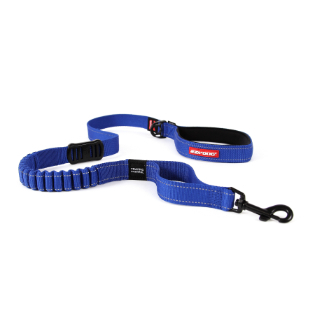 Use with our dog harnesses to ensure your pup is safe in the back seat while traveling. Vehicle dog restraints have become law in several states in the US, so protect your pup while on the road. Caution: This product is designed to be used with an EzyDog Harness to prevent driver distraction and restrain the dog to one position in the vehicle. In the event of a car accident it may not prevent injury to the passengers or your dog. Inspect attachment for wear or abrasion. Do not use if damaged! The Best Dog Seat Belt Restraint on the Market is Found only at EzyDog! Road trips can be a blast, but not when your dog is clambering all over the car! Reduce driving distractions with the EzyDog Seat Belt Restraint. Attaching to your car’s seat belt and your dog’s sturdy EzyDog dog harness, it keeps your pooch in one place while still allowing him to sit or lay down comfortably. Trips to the vet, dog park, and everywhere else just got a lot easier! 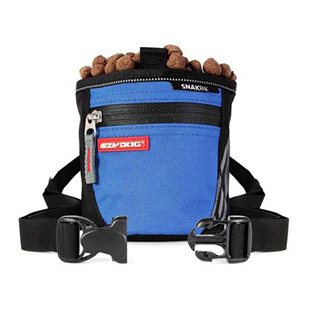 This safe dog seat belt restraint pairs well with the EzyDog QuickFit Harness. Don’t take another car ride with your dog in your lap. Order your seat belt restraint for a dog today! Make road trips with Fido easier. Absolutely love this item. Sturdy and comfy for my Satchiko! I like the ease of use, however, it slids down on the seatbelt making it a little difficult to get the dog unhooked. The product would be great for the right size dog. It is very well made and strong. Recommend for shorter trips. Have small dog and it prevents her from moving around much on the seat. This is especially fantastic when just me and her in the vehicle, car or pickup, as she is smaller and very active dog. 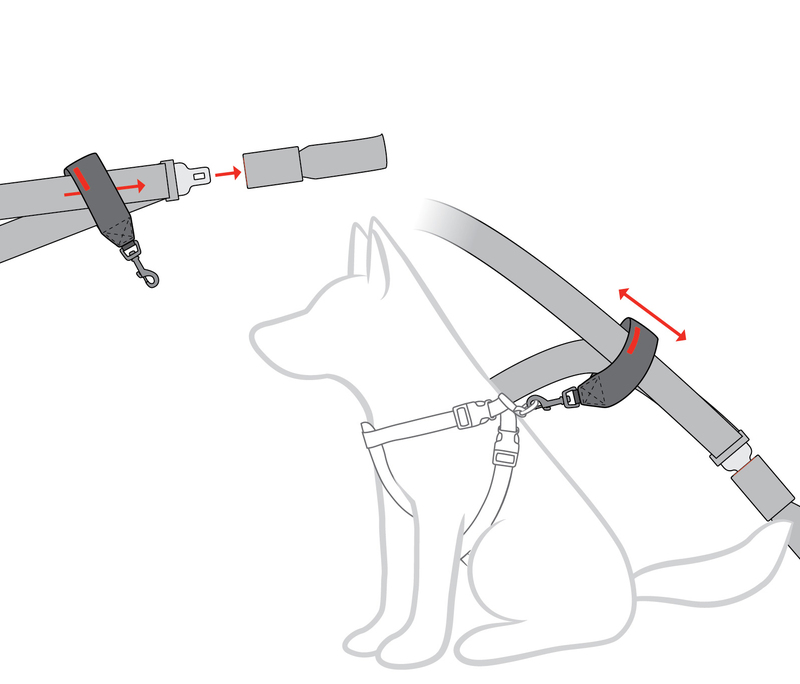 Also have the Dog Seat Belt, which instead of looping on the Seat Belt that is clicked in normally, the Dog Seat Belt is a single strap with the click implement that is clicked in instead of the seat belt. It allows the pup more room, yet prevents pup from wandering the car. Both will save pup from being thrown from a car, but neither will prevent injury to pup in accidents. This came with the harness I eventually ended up with. Must repeat what another poster has stated "DO NOT USE EITHER TYPE OF SEAT BELT RESTRAINT WITH ANY TYPE OF COLLAR!!! MUST BE USED WITH A HARNESS!!! PREFERABLY A HARNESS WITH ATTACHMENT BEHIND FORE LEGS, NOT IN THE MIDDLE OF THEIR BACK!!!!" not worth the $10 bucks that I spent. EzyDog says: Thank you for your review. We are happy to accept your return of the product. Please contact info@EzyDog.com if you have any questions. It is a great idea and works well but the issue I am having with my large puppy is that the seat belt always retracts all the way eventually and he cannot sit and is forced to be stuck in the laying down position. This is probably due to vehicle to vehicle difference but is something to be addressed. with the seat belt buckled and as tight as it can go with nothing behind he should be able to be in the sitting position not just forced to llay down if he so much as bends down at all. EzyDog says: Thanks for the review Brandon. For more length check out our Click! Seat Belt Restraint.